Our pros at 911 Restoration Los Angeles also know that even in a recreational paradise like Woodland Hills, water damage disasters can still strike at any time from many different sources, such as runoff from rain in the mountains or a burst washer in your laundry room. Our water damage Woodland Hills pros know that the area has been inhabited by one peoples or another for more than 8,000 years due to its pristine beauty and now recreational attractions such as hiking and equestrian trails, as well as mountain biking in the foothills and canyons. That’s why our technicians are available 24/7/365 and will respond within 45 minutes of any emergency because water damage waits for no one. We value professionalism and that’s why we always put the customer first for every job we do. We are licensed, insured and bonded to provide our customers with peace of mind during their emergencies, and we even offer a free inspection to get you started. We have years of experience in water damage services and restorations, which allows us to provide our customers with the most affordable price possible in their emergency. If you have a toilet overflow, or any other form of water damage, give our pros at 911 Restoration Los Angeles a call now! Our water damage Woodland Hills pros know that if you have a toilet overflow, you need to call out professionals at 911 Restoration Los Angeles a call immediately. This can cause warping and can wreak havoc on the structural integrity of your home. Toilet overflows can also be a black water situation which in the direst of circumstances can be a potential hazard to your health and that of your family. 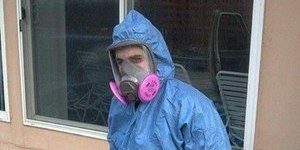 Mold decontamination using high-tech mold remediation techniques. Our water damage Woodland Hills pros will do gray water and returning water extractions like they never happened. Odor removal from all surfaces and locations in your home. We use only the latest drying technology to dehydrate your rooms. 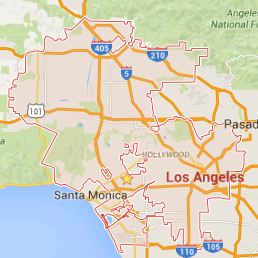 Category 3 problems are no issue for our water damage Woodland Hills pros. 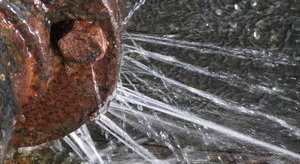 Plumbing repairs such as ruptured hoses, a pipe burst, or washer burst. Our water damage Woodland Hills pros can extract and replace your faulty water heater or a fire sprinkler system. Information on what to do during severe storms or floods. Maintain your gutters, downspouts and sump pumps for you to avoid catastrophe. Many toilet overflow situations are simple and can be solved by simply turning off the water to the toilet and then grabbing a mop, but if the water has expanded or been left on for an extended period of time, then there is a very high chance that water has seeped through your floor or tile and into the flooring below. Our water damage Woodland Hills pros know that standing water, especially black water from a toilet overflow can be a serious health risk to you and your family and that’s why we suggest calling our pros at 911 Restoration Los Angeles immediately to avoid further damage and costs and health problems. So if you want to know if your insurance will cover your water damage situation, give our professionals a call today! Our water damage Woodland Hills pros have the industry leading experience to know that many water damage situation are indeed covered by typical homeowner’s insurance policies. Though just to be absolutely sure of what you are covered with and what you aren’t, you should contact your insurance provider and speak with your representative. Typically unless your water damage is a local flood, which would be covered under separate flood insurance riders, most emergency situations will be covered under your standard homeowner’s policy. Things such as a flooded home from a broken water heater will more than likely be covered, but situations involving negligence such as flushing objects down the toilet which create and obstruction leading to ruptured hoses or a pipe burst will likely not be covered. In any case, no matter how you incurred your water damage, we are here to restore your home to what it was before it ever happened, like it never happened. We’re that good. And we’re so good, that we are working with all insurance companies to ensure that we provide our customers and clients with the most affordable price possible. 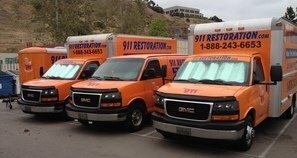 If you want to know if water removal is affordable for you, give our water damage Woodland Hills professionals with 911 Restoration Los Angeles a call today!